We are currently handling only Spec Miatas and Spec Z's for NASA and SCCA and multiple cars in the different endurance race series including WRL, Lemons and NASA. We are comprised of a full auto repair shop, transport, crew and a driving coach. We can handle all of your needs from full racecar builds to weekend track support and maintenance. Several race prep packages available. We also work with a local company that does amazing custom vehicle wraps in house. Don't hesitate to call if you are in need of support or racecar work. You can find us on Facebook and Follow our race team around the country or even join us for some great racing. Driving Force Motorsports team is made up of multiple members and drivers. Below is a list of the members and drivers of the team and little about each one and the race series they compete in. Dan races in multiple series including Nasa Spec Miata, SCCA Spec Miata, World Challenge TCA, WRL Endurance Series. Dan Has won multiple NASA Spec Miata Races accross the country, he is a 2 time national winner in NASA Spec 944. Has pole position starts and podium finishes in TCA - Pirelli World Challenge. He also has several wins and podium finishes in multiple WRL Endurance Races, including the 2017 National Champions in GP3 as a driving team member. 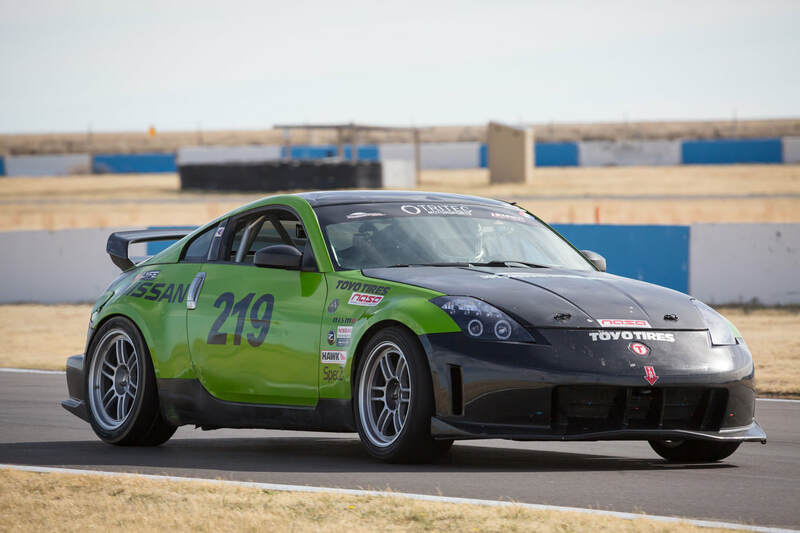 Erik races in multiple series including NASA Spec Miata, WRL Endurance Race Series, Lemons Endurance Race Series and also raced in open road races. Erik has been in the automotive industry for 16 years and is a ASE Master certified Technician with Advances level certifications in Diagnostics, Performance and Exhaust. Erik has been the lead crew chief and driver for multiple overall wins in the 24 Hours of Lemons series as well as several podium finishes in the WRL Series. Erik has also competed in CMC class and ARRS Class in NASA. Jason Races in NASA Spec Miata, SCCA Spec Miata, and WRL Endurance Race Series. He is the owner and one of the drivers of the Current GP3 National Endurance Champion winning #88 car for WRL. Jason also competes in the Sandhills Open Road Challenge every year. Jason also has competed in Spec 944 and ARRS class in NASA. Matt races in 24 Hours of Lemons Racing series and WRL Endurance Racing Series and enjoys multiple track days all year. 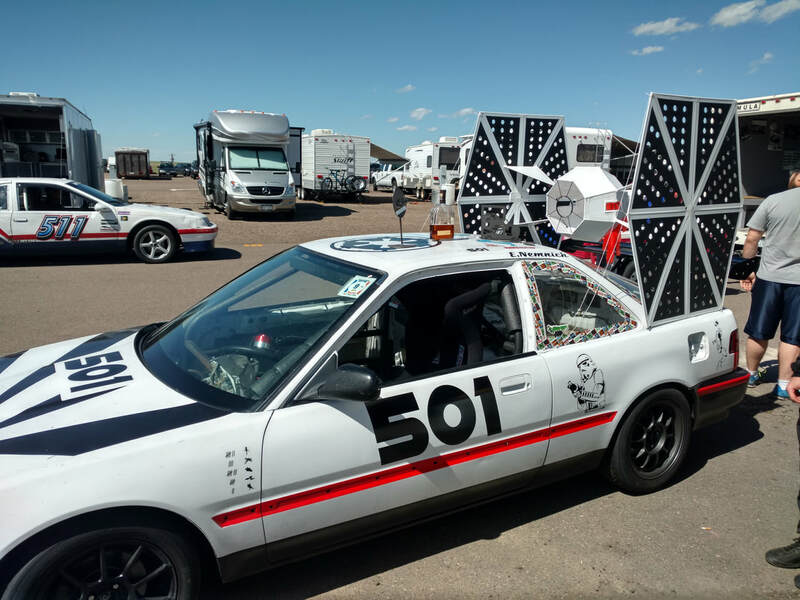 Matt is the Owner of the 2 time winning 24 Hours of lemons 1991 Acura Integra (Starwars Car) and also the 1986 Toyota MR2 GP4 car. Matt has been a driver of both cars and has several podium finishes as well as overall and class wins. Loni was raised in the mountain town of Sun Valley, Idaho. From a very early age she began competing in many sports, from swimming to skiing to running, it was evident that competition was in her blood. ​She continued sports competition through high school, while turning her first laps in a Go-Kart. It was when Loni made her first laps around the Go-Kart track that she knew racing cars was her real dream. From an early age it was evident that Loni had the natural ability and desire to race. Loni is currently racing in the very competitive Spec Miata series in the Rocky Mountain Region, while attending Colorado University, Boulder. She is also currently racing endurance races with the WRL also. Loni is proud to carry on the Unser family tradition of excellence and winning. Evan was born and raised in Colorado and played multiple sports including lacrosse and football. While in highschool, Evan began racing a Rotax 125cc kart in the Racing at the Rockies series. From there he moved into Honda Shifter karts in the Colorado Karting Tour series. Evan now competes in Nasa Spec Miata while attending Colorado State University for Electrical Engineering. When he is not studying, Evan works part time for his family's business, Wine Country Motor Sports. Evan just finished his rookie season in NASA Spec Miata. He had a great year of learning and improving his driver skills. We are improving his car set-up as he joins our team this year and will further his racing skills and watch him climb towards the front of the NASA Rocky Mountain Spec Miata field. Matthew Dirks started racing go-karts at age 10 with the Colorado Junior Karting Club. By the end of his third season, he accumulated many wins and reached the Championship Podium twice. In 2016 he started driving with NASA in his Spec Miata. He quickly progressed through High Performance Driving Education, completed Competition School and participated in his first Spec Miata race at age 13. He competed in both Teen Mazda Challenge for NASA as well as spec miata. He was the NASA Rocky Mountain Spec Miata points Champion for 2017 and the runner up in Teen Mazda Challenge. He is continuing to improve his driver ability while learning more about the machines he drives. Matthew just turned 15 years old so continue to watch this young man top the charts as he races around the country with us. Danny is a professional coach from Boulder Colorado specializing in training endurance athletes, adventure athletes and high performance teams. After a life time of competing in endurance and adventure sports as an athlete, everything broke, so he thought he'd try car racing. Danny brings lots of energy and enthusiasm to the team and keeps everyone smiling in pits! Charley joined the team for 2018. He has been racing for several years and raced dirk bikes and cars throughout his life. He started racing Spec Miata last season and is in the process of restoring his entire car from top to bottom. Watch for the completed project before the next race.